The Storm’s No. 1 (Loyd) and No. 3 (Mosqueda-Lewis) picks, have the “It” factor according to HoopGurlz founder Glenn Nelson. When club-basketball coaches offer breathless tips about a player “you must see,” if you are an evaluator, recruiter or reporter, you tend not simply to coax out a single grain, you reach for the whole salt shaker, sometimes the entire mine. Kevin Morrison did better than most. Now the associate head women’s basketball coach at Washington, he was a good friend and source for HoopGurlz, a website I founded that covered girls basketball and women’s college-basketball prospects nationally. Plus he had a stacked team called West Coach Elite; he definitely knew talent. So Morrison was a one-grainer. I went to watch his 13-year-old wunderkind play with few expectations. In 2007, it still was rare to see girls land three-point shots in succession. But Kaleena Mosqueda-Lewis did it twice that game. The second pair even was of the catch-and-shoot variety — something girls usually don’t have the mechanics and leg strength to execute from distance. Who’s breathless now? 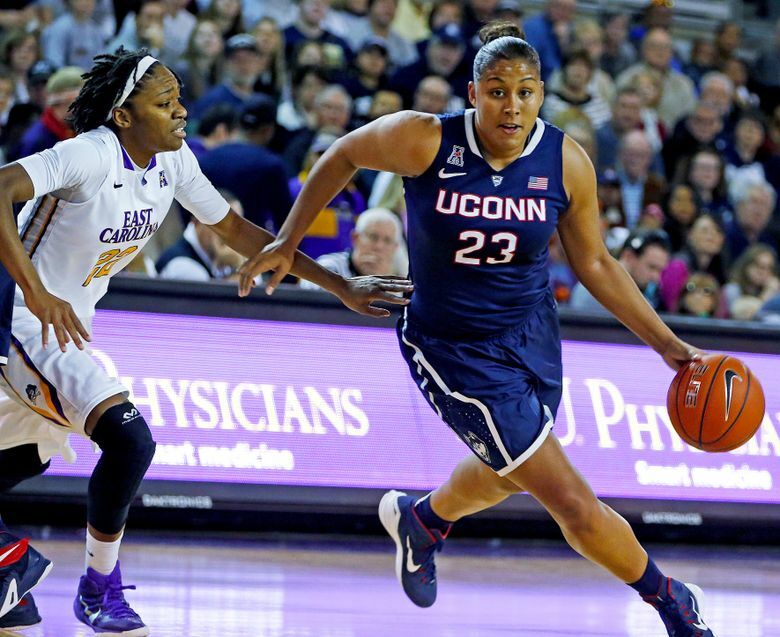 The Seattle Storm on Thursday took Mosqueda-Lewis of the University of Connecticut with the No. 3 overall pick in the WNBA draft. They grabbed Notre Dame’s Jewell Loyd with the first choice. In a matter of minutes, the Storm claimed a dynamic backcourt that should dictate their fortunes for at least a decade. With or without the ball, Loyd is eye-blink quick, a skilled and über-athletic scorer, playmaker and defender. Mosqueda-Lewis is the best long-distance shooter to come out of the women’s college ranks, as well as one of the best shooters I’ve ever seen, which is saying something considering I covered the NBA for 17 years at this newspaper. Loyd also entered my consciousness like an unexpected bolt of lighting. During a summer exposure tournament, I’d gone to see her club teammate, Samantha Logic, chosen No. 10 by Atlanta on Thursday. During the game, a big post went up for what seemed like money in the bank when Loyd swooped in to cancel the transaction. She became, and remained, a player off whom you could not tear your eyes. At HoopGurlz, we didn’t rank Loyd as the best prospect in her class because we couldn’t. At the top was Breanna Stewart, a game-changing, once-in-a-decade type of player and slam-dunk top pick in next year’s draft. Right after her was Moriah Jefferson, also at Connecticut, who has the hands, ball skills and defensive bona fides to match any point guard in the WNBA. Loyd likely would have been taken only as high as No. 3 in 2016. Hey, Loyd certainly knows how to survey the landscape. It took underclassmen Loyd and Amanda Zahui B. to knock Mosqueda-Lewis off the top pick. She was our No. 1 prospect in the 2011 class, over Elizabeth Williams, a 6-foot-3 post taken No. 4 overall by Connecticut. 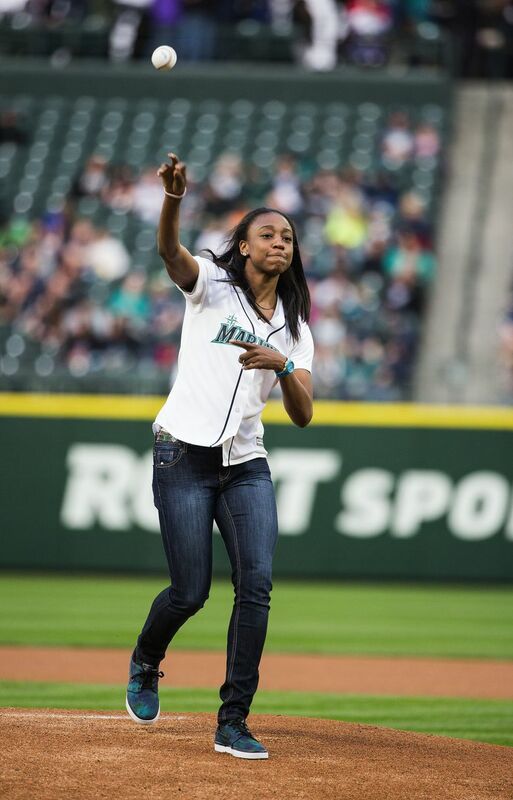 Williams was the top prospect for months because she played a more valued position; however, after much heated debate, we decided that Mosqueda-Lewis had such unmatched reliability at her specialty (shooting), it trumped Williams’ inside play. During a long career in sports, I’ve come to believe in “It Factor” above all determinants that go into projecting a prospect. It’s not something easily definable; you know it when you see it. Even back in high school, it was clear Loyd and Mosqueda-Lewis had “It.” Females mature physically much younger than males, and those two would get top-notch skills development, experience and mental toughness at Notre Dame and Connecticut. It was obvious back then that their careers would extend past the college level. Their exact paths to the WNBA may not have been exactly evident. Mosqueda-Lewis’ early development came at the direction of her step-father, Khairi Ali, a fire fighter whose athletic background was in soccer. The footwork was similar, he figured. Plus he knew daily 5 a.m. workouts at the local gym benefitted any sport. Ali may not have been an expert at basketball or shooting, but he knew bad form when he saw it. Most girls, he noticed, either started a shot from their hips or used a jerky motion accompanied by a head twitch that he called the “I Dream of Jeannie” style. What Ali and Mosqueda-Lewis didn’t know, they bought video tapes and figured out. Mosqueda-Lewis didn’t learn just how to properly fling a basketball, she developed counter moves, learned how to create space, shoot off the bounce, get shots off after contact, and draw fouls. It’s all the stuff Kevin Morrison counted on, way back when, despite the lack of convention in the way it arrived. A Seattle native, Glenn Nelson was a sports reporter at The Seattle Times for 17 years. He co-founded Scout.com, started HoopGurlz and now is developing TrailPosse.com to encourage diversity in the outdoors.